Our Youth/Juvenile Justice System: Radical surgery required or just some Nip and Tuck? Born in Gisborne, New Zealand, with tribal affiliations to Ngāti Pōrou (East Coast, North Island), and Ngāi Tahu (South Island), Judge Taumaunu completed primary and secondary school in Christchurch before joining the New Zealand Army as a Webb Class Regular Force Cadet in 1984. He then served as a Regular Force soldier in the Royal New Zealand Signals Corp for four years. 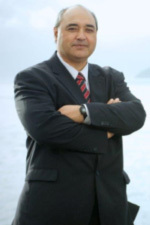 Graduating from Victoria University of Wellington in 1993 with a Bachelor of Laws, Judge Taumaunu practised as a barrister and solicitor in the Gisborne region for 10 years prior to his appointment as a District Court Judge in 2004. Judge Taumaunu is warranted to preside over jury, general and youth courts, is a resident Judge of the Auckland District Court, and regularly presides over Youth Courts in Waitākere, Gisborne, Ruatoria and Wairoa. Judge Taumaunu is the National Rangatahi Court Liaison Judge, the Chair of the District Court Kaupapa Māori Advisory Group, and the Tangata Whenua Judicial Advisor to the Chief Judge’s Advisory Group. In June 2012, Judge Taumaunu was sworn in as a Judge of the Court Martial of New Zealand. Married with three children, Judge Taumaunu has a special interest in Youth Justice and, in particular, Youth Justice for recidivist Māori youth offenders. His Honour regularly presides over the Rangatahi Courts at Te Poho-o-Rawiri Marae in Gisborne, Hoani Waititi Marae in Waitākere, Ōrakei Marae in Auckland and Ngā Hau e Whā Marae in Christchurch. Judge Heemi Taumaunu, Our Youth/Juvenile Justice System: Radical surgery required or just some Nip and Tuck? (Founder and Presiding Judge of the Rangatahi Court of New Zealand). His Honour Judge Andrew Becroft was appointed the Children’s Commissioner for New Zealand for a two year period from June 2016. 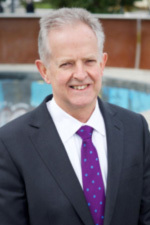 Prior to that he was the Principal Youth Court Judge of New Zealand from 2001 to 2016; and a District Court Judge from 1996 to 2001. Born in Kuala Lumpur, Malaysia, Judge Becroft attended Rongotai College in Wellington and graduated from Auckland University in 1981 with a BA/LLB (Honours) degree.